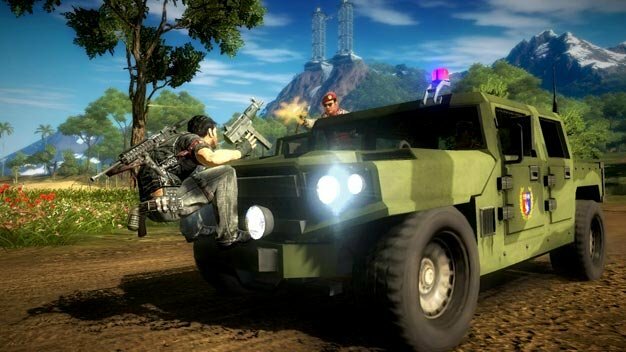 Square Enix Europe — we’ll just have to get used to that now — has dated Avalanche Studios’ long overdue Just Cause 2 today. The grappling hook-powered open-world title will be free falling onto retail on March 23 in North America and March 26 in EMEA territories, for the PC, Xbox 360, and PlayStation 3. Anyone looking to spend some time until then should be covered by the amount of videos that have been released lately. Another set of five new screenshots await in the gallery as well.